Did everyone have a good weekend? Celebrate St. Patty's Day? 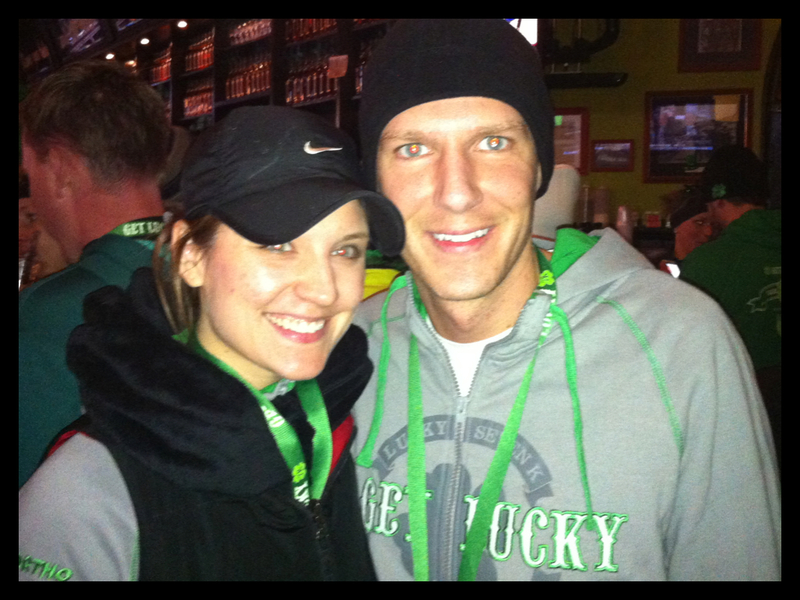 Derek and I ran the "Get Lucky" 7K this past Saturday in honor of St Patricks Day and I could not be happier with the outcome of the race (Plus it got me excited for our Half Marathon)! I ended up running an average pace of 7:47 Min/Mile which is the fastest I have run a race! Below are my official stats! and 18th out of 1728 in my age group!!!!! I am still in shock with my stats due to the fact that Saturday was insanely cold. We are talking about 20 degrees when we started running! Saturday was by far the coldest weather I have ever run in. Thankfully the sun was shining Saturday which helped a little bit! Post race Derek and I met up with some of his friends at Kierens an Irish Pub downton Minneapolis! Lets just say it was packed and most people at the Pub had run the race! It was a great way to enjoy the day and celebrate a great race! How did you celebrate St. Patty's Day?